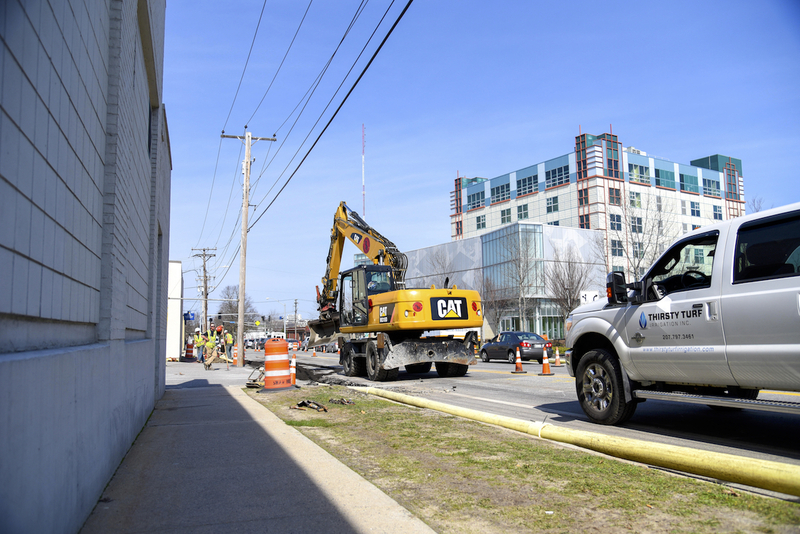 The City of Portland, as part of its overall sewer separation project, will be doing construction from Baxter Boulevard up to Brighton Avenue along Bedford Street this summer. This will impact the Portland campus in terms of impeding driving, and noise during the digging part of the project. The beginning phase of the project began on April 30, with water lines being installed. During the week of May 7-11, there will be a break during finals week, and then the project will begin in earnest starting May 14th. At that time, Bedford Street will be restricted to one lane, one-way traffic going from Brighton Avenue down to Forest Avenue. The City will be keeping USM Facilities updated on various phases of the project and USM will notify offices of any major impacts, but please be aware this project will heavily impact traffic on Bedford Street, and there will be intermittent noise for jackhammering, drilling and so on. The entrances to buildings, driveways and the garage will be made accessible throughout the project. The Sewer Separation project (which has been going on throughout the City for several years) is to replace aging water main infrastructure (some pipes on Bedford are 100+ years old), and to separate the storm and sewer water lines so sewage doesn’t run into the Back Cove. For more details, and to follow any major updates on the project, or if you have questions/need to report something, you can visit the City of Portland’s website. Good news is, the City plans to have the most disruptive part of this project done by the time classes start for this Fall semester (there will be final paving in the Spring of 2019). And the best news is that the health of the waters in Back Cove will be vastly improved, and the water and sewer system will be updated to better handle the growth of our city. Thanks in advance for everyone’s patience.